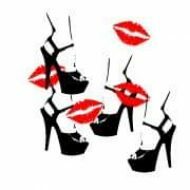 Posted byRed Lips High Heels	 August 14, 2013 Leave a comment on We Fear the Unknown, and Prefer to Keep it Locked up! This is Lebanon. Here, we have degrees of citizenship. Its factors are skin color, nationality, gender, sexuality, age and profession. We dona��t consider foreign workers to be human. We treat them inhumanely; we overwork them, we exhaust them, we dona��t give them the space every human being needs, we expect the very best of them for less than the minimum wage, we want them to be there 24/7 ready to a�?servea�? us, etc. We judge them by the color of their skin and their profession. For some reason, being a house keeper seems to be demeaning to the Lebanese society. They clean, they cook, they do our grocery shopping for us, and, they even take care of our kids for us. This is the work of multiple people for the price of one, actually half the price of one. And we pride ourselves by saying that we are feeding them, and we take care of them when they are sick and and and… Working 24/7, waiting on people, cooking, cleaning, shopping, and babysitting. Would you do it for the price they are offered if you traveled to Europe for example? On the other hand, women rarely get promoted at work for the most eccentric of reasons: she might get pregnant and take some time off. Simply because a woman has the ability to bear children seems to give men the upper hand. Is there even one domain where a woman is not objectified and harassed for being who she is? A businesswoman is considered to want to enter a�?the world of mena�? and hence she is viewed as the outsider in fitting clothes. Why do we care so much about looks? What if a woman has short hair? Do appearances come in handy when it comes to meeting the requirements of a job position? Will the lack of hair result in less professionalism and productivity in the work environment? At the workplace, women are plainly forced to fit a certain image. And if they don’t like it, the companies simply let them go. This is a country where the number of unemployment is on the rise and if one woman refuses to do the job for the salary that is beneath the position, another would for the lack of other opportunities or the need of an income to close debts and whatnot. Scientifically ita��s been proven that men and women are different in the workplace, different does not mean second class though. It simply means that men and women function differently, and each one excels in an area different than the other. It makes sense. It is not an absolute rule, but it makes sense. But, what does sexuality have to do with work? We all know that when we talk about the level of citizenship here, men come first. Second come men who are not a�?traditionala�? and a�?straighta�?. Then come women, followed by nontraditional looking and behaving women. And last and least preferred are the people who are not cisgendered. We have built a castle of shame, in my opinion. I would like to understand what someonea��s gender has to do with anything really. I would like to understand what onea��s nationality has to do with anything, what onea��s convictions, political affiliations and overall cultural background have to do with work, social matters and everyday relations. We consider men to be the head of the household, the wife being his source of support and the kids would be the proud product of the mana��s manhood. This is our perfectly framed picture of a Lebanese family. And so, we leave out single men, but we may even consider them wise not to have gotten entrapped and married because how else do we measure life if not by the amount of relations a man can have in his lifetime? Sadly enough, this also leaves out any and every successful woman who after reaching a certain age is denied jobs because she is a�?overqualified and over the age limita�?. And yet again, we are leaving out every person that does not fit the usual image of a man and a woman. We may be ignoring great potential in unconventional people such as transgenders, but we dona��t even think twice about it because it keeps us safe. It is only a few years ago that I learned what the term cisgender meant, and it is recently with the article I read about cisgender privileges that I started wondering about how the situation is here in Lebanon. There is so much ignorance about the subject that it is scary. People use jokes such as a�?look at him, such a womana�? on a daily basis while driving for example. Guys open doors for each other and say a�?ladies firsta�? to assert their manhood, but those arena��t men; those are boys. We confuse sexuality with gender. And we make fun of everything we do not understand. And the reason we do not understand these a�?creaturesa�? is because we do not have enough resources to know about them. We fear the unknown, and prefer to keep it locked up, away from our homes and children. Different does not mean beneath or above. Different is simply that: different. Inspired by Red Lips High Heelsa�� Facebook share of a�?Cisgender privilegesa�?. Learning a lot while reading articles on this blog. Didn’t know about cisgender..
Is this the article you were referring to Hermes? and we live constantly in Lebanon waiting for the unknown, in fact for the darkest hours, even darker than now. it is indeed an “era of decadence” as Dr. Pamela Chrabieh states, and this decadence incarnates in the absence of basic human rights at all levels. Nice post Hermes! And truly bold! Cigender, transexual… taboo subjects in Lebanon… we are far from tackling those but at least you are raising the question here. Keep up the good work! Awareness is a must!